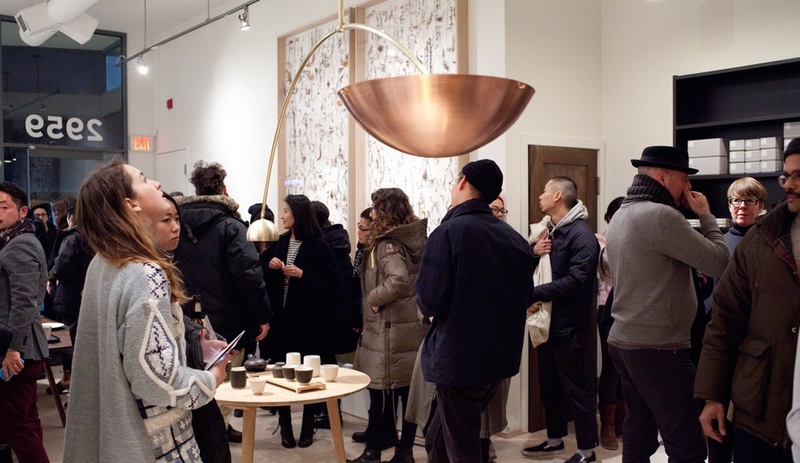 From Cosentino’s arty surfacing to Castor Design’s copper chemistry – not to mention a faithful recreation of Ferris Bueller’s bedroom – we’ve selected a dozen attention-grabbing highlights from IDS 2016 and the Toronto Design Offsite Festival. 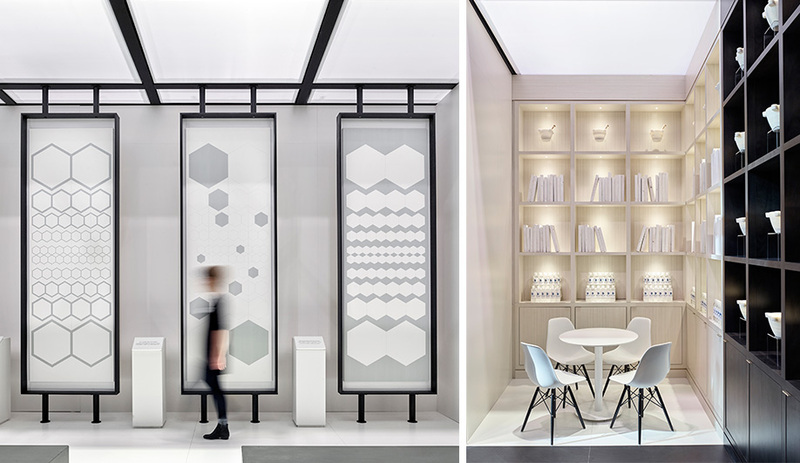 With a gleaming white exterior, this booth was a beautiful collaboration between the Spanish surfacing company and Toronto interior design firm Cecconi Simone. 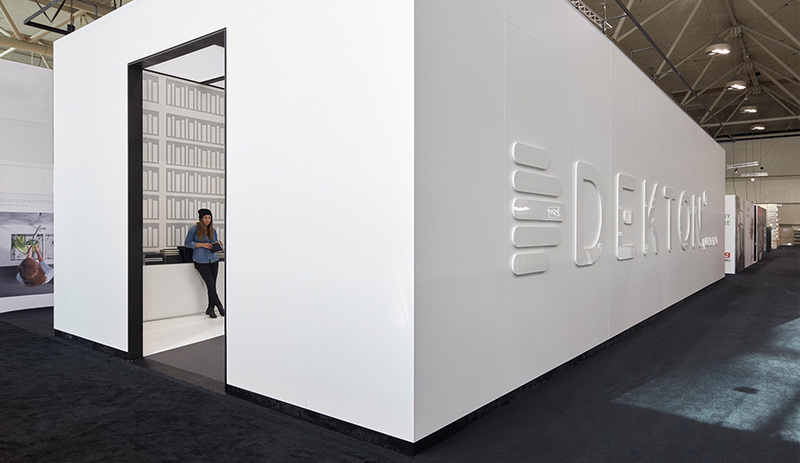 Using the cutting-edge composite material on every surface – floors, walls, displays, furniture and custom panels printed with patterns by Daniel Germani – the space showed off Dekton’s beauty, versatility and durability. Richer and Ng used this natural occurrence to coat portions of other items, including pendants, and vases that double as bongs. The gallery walls were also painted in a copper hue, and, on opening night, the design team served edible copper to guests. CU was as much about science as it was about Castors’ own cheeky nod to the over-saturated use of copper in contemporary design. Life moves pretty fast….and so does Toronto Design Week. Come Up To My Room, housed in various rooms inside the Gladstone Hotel, is always a highlight, and this year the star of the show was an amazingly detailed recreation of Ferris’s bedroom, from the John Hughes classic Ferris Bueller’s Day Off. A bit different from the typical CUTMR display, the room combined pop culture nostalgia with the incredible curatorial skills of The Racket Club, a.k.a. artists/filmmakers Sarah Keenlyside and Joseph Clement. The duo tracked down or recreated every last element of the memorable interior, from the Bertoia side chair, to the more elusive Damned and Bryan Ferry posters. If you missed it, the installation will hit the road to be shown in Chicago and Niagara Falls this spring. Jordan Söderberg Mills is a young designer whose studio is based out of Toronto, Chile and London. His work includes some furniture as well as more experimental pieces, predominantly in glass and exploring the play of light and colour. 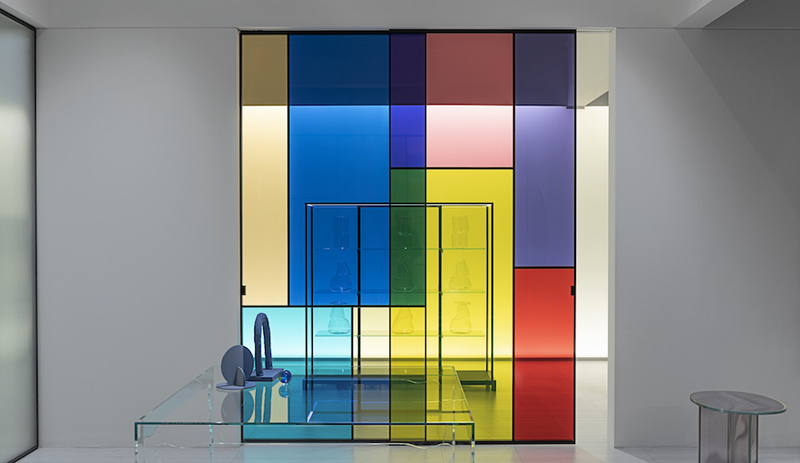 His Anaglyphic Mirror layers coloured glass to mimic old school, pre-digital 3D technology, sans paper glasses. Bold colour blocking and simple geometrics collide in this new seating by Oscar&Kennedy, hand-built in Vancouver. The minimally designed chairs feature a pivoting backrest that augments lumbar support and fits different postures and body types. Made from Eastern maple and birch plywood, the screw-together chairs disassemble for easy flat-pack delivery. 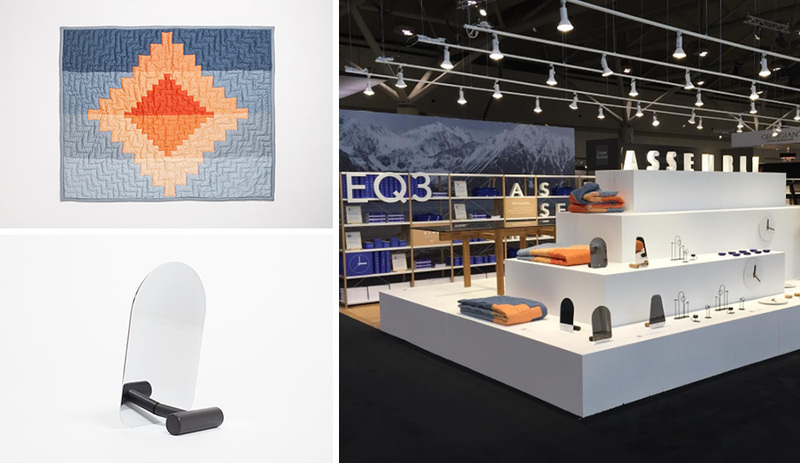 EQ3 brought to IDS one of the most exciting launches with the debut of Assembly, a line of furniture and accessories by up-and-coming Canadian talents, including MSDS Studios of Toronto and Zoë Mowat of Montreal. Pieces range from Matthew Kroeker’s classic wood chairs to Six Point Un’s button-shaped bottle openers and Mowat’s characteristically Memphis-inspired dressing table. There’s much to love about this elegant bathroom suite, newly launched in North America. The pieces, designed by Italy’s Studio Lombardo Nespoli and Novara, combine Canaletto walnut and silky white Corian, with the star of the ensemble being the freestanding vanity. A slender sawhorse shape hides all plumbing within, and it can be customized using the collection’s washbasin, shelf, drawers, towel hooks and rotating mirrors. The circular tub features an angular cut that creates a relaxing and elegant spot to soak. 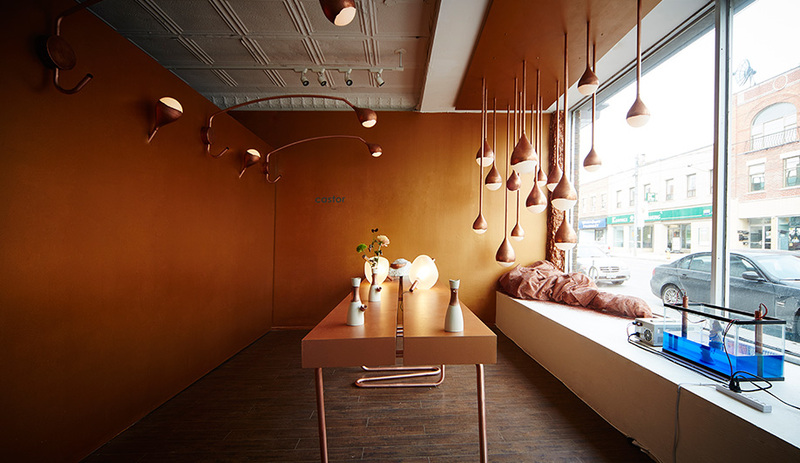 One of Canada’s rising talents in industrial design is the Federal Design House (formerly “The Federal“), and at IDS’s Studio North display the Ottawa studio explored what could be made from 1,000 feet of sheathed copper cable. 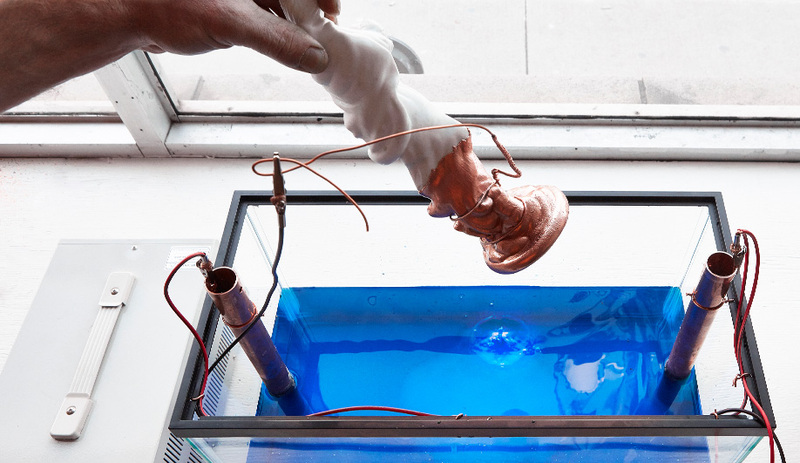 The material is normally used for medical equipment, but due to a flaw, Federal adopted the discarded cord and decided to see what they could make with it. Among other objects was Epona, a tiny rocker that uses the cable as blades. 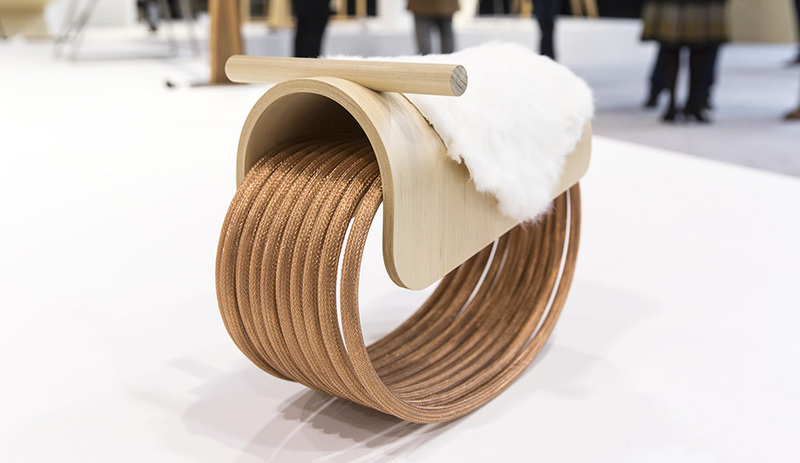 Its saddle is made of bent maple wood with a rabbit hide cushion. 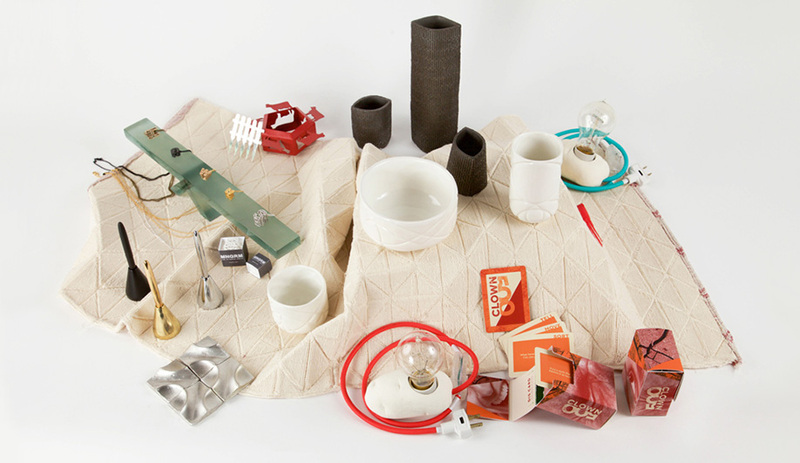 Each year, designers from cities across North America participate in Outside the Box, where a small display of pocket-size items is laid out on a grouping of plinths. The challenge of this budget-conscious micro-event is that each collection must fit within a standard Bankers box, for easy shipping and minimal set-up challenges. On view at the Style Garage shop on Dundas Street West, this year’s exhibit revealed some intriguing aesthetic comparisons between each city. 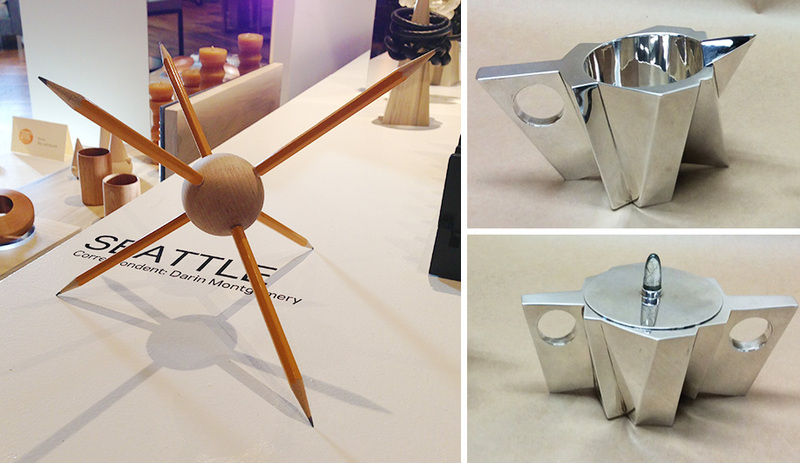 Designers from nine cities participated and among the highlights was a beautiful sugar and cream set by Karen Cantine of Edmonton, and a wooden ball for storing pencils while also creating a spiky desk objet, by Brian Beck Studio and sold through Urbancase of Seattle. For her sculptures at the Textile Museum of Canada, artist Lyn Carter drew from her surroundings on the 11th Line in rural Grand Valley, Ontario – specifically, agricultural and industrial buildings. 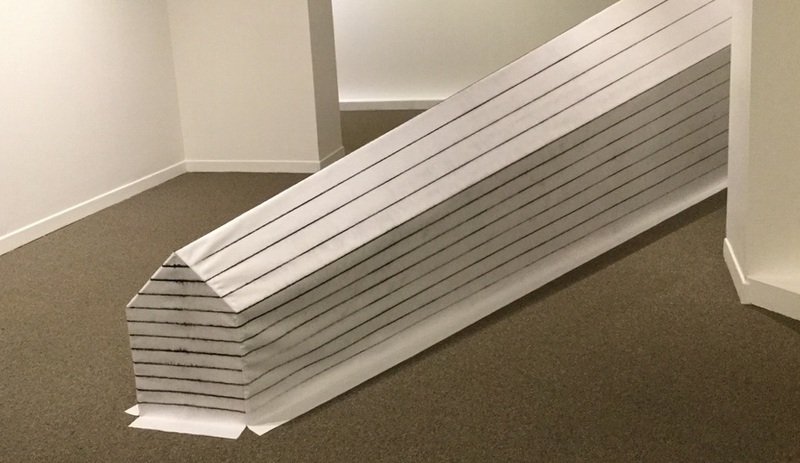 Her installations merge architecture and textiles through the exploration of an element common to both: lines. The diminutive buildings inserted into the museum’s spaces use differences in scale and wonky perspective create some unusual and evocative effects. Continuing its successful series of product collaborations with international designers, local retailer Mjölk worked with Oji Masanori to bring a series of ceramics and lighting into production. The collection includes a ceramic tea set in glossy white and matte black, and two pendants – one with a lozenge-shaped glass diffuser and matching brass counterweight; the other a mobile-like brass piece with a down-cast spherical shade balanced by a larger, cauldron-shaped one. 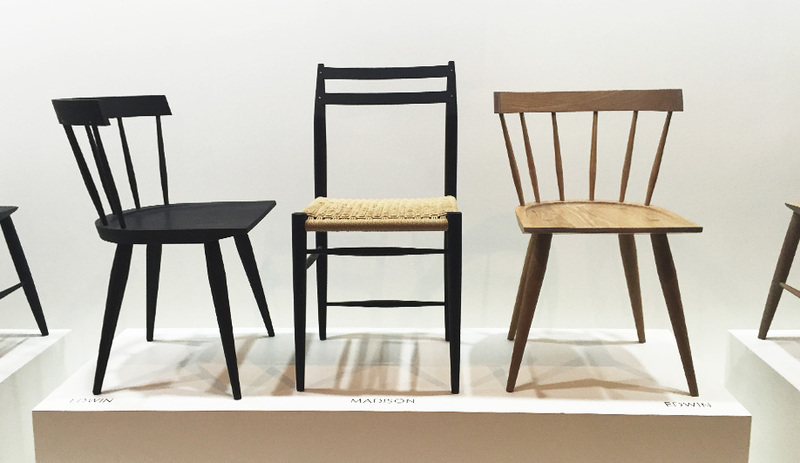 Returning for its second time at the Maker section of IDS, the local small-batch furniture maker introduced two new chairs to their roster: the Edwin (left and right), a pared-back take on the classic Windsor with brass peg details; and the Madison (centre), featuring a hand-woven cord seat.